When we started in 1979, the only world percussion drums in the stores were congas, bongos and other latin american gear. Any thing else was a rare oddity. A few Brazilian percussionsts started coming into the shop and after a while convinced me to buy pandieros and tamborims from them when they would return from Brazil. In the early 80’s a very nice gentleman came into Drummers World with a nice djembe drum from Burkina Faso and invited me up to his hotel room to show what other drums he had brought. Djembes were impossible to get and customers were looking for them. Needless to say, I was apprehensive, not knowing him, but a couple of drummers recommended he contact me and I trusted them. I show up at the hotel, knock on his door and am led into two full rooms full of djembes and art works from West Africa. I had never seen anything like it. He was using his hotel room as a showroom and I played one drum at a time choosing the best and most resonating drums I heard. They were all used drums. They had been played in ceremonies and concerts and all had markings. But, they sounded fantastic and I was hooked. After intense negotiating over price I bought 12 and got them to the store the next day. Within two weeks we sold them all. We developed a reputation specializing in world percussion and introduced many new instruments and toys to the playing public. This photo is a reflection of the many instruments we had in stock in 1999. Posted on Apr.6, 2015 by Barry in category Memory Lane. Tagged with Photos. Bookmark the Permalink. I cannot tell you ( actually I could but it would take too long) how much I miss hanging out at the store. Good thing we have lunch! I am so pleased your business has grown and expanded greatly. Back in 1980/81 I spent many hours in your company and with the gentleman whom you worked with at the time. I was visiting from the UK, I ordered through you so kindly you provided me with a premier tom-tom and double attachment. The years have past I still play and have moved within the UK. I have fond memories of you and the gentleman forgive me I forgot his name and it is possible he past away. He was best friends with my then drum teacher in London at Foote’s in Golden Square W1. Shop closed many years ago! No reasons whatsoever why you should remember me I have you always at my forefront for the kind ways you always have. It would mean so much to correspond with you again but you take care and hope you are leading an awesome life! So nice to hear from you. I do remember your time in NYC and the time spent at Drummers World. Jack Moscrop is the gentleman you spoke with at the store and was originally from England. He has since passed, but many customers remember him with affection. Please stay in touch and hopefully all is well with you! An ubang by Steve wright, a darbuka, various toys, mallets.. still got most of it in Berlin. Kory G first brought me to 46th street, great store, great ambience. Geoffrey, Thanks for your input. Glad things are holding up!! Saludo from Colombia Barry, i miss your great Store, great conversation, great ambiente!!!! We miss you also, Larry! Hope you are doing well. Saludos, Barry, from Colombia; I miss your great Store, my favorite!! !, great conversation, great people, great ambiente!!! Miss the store and people /team at the store. It was a place I would go to just feel alive. Great store , great service!!!! There’s a huge whole in NYC since the store closed. But, luckily there’s the website and I still get to have lunch with Barry now and again! 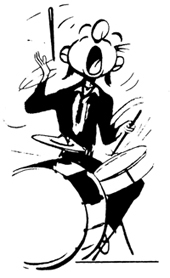 Your shop was great–a meeting for the best, intermediate, and beginning drummers. I’ll keep sponsering your business, Take care ny friend, and keep it burning. David, thank you! Always a pleasure talking and being with you. 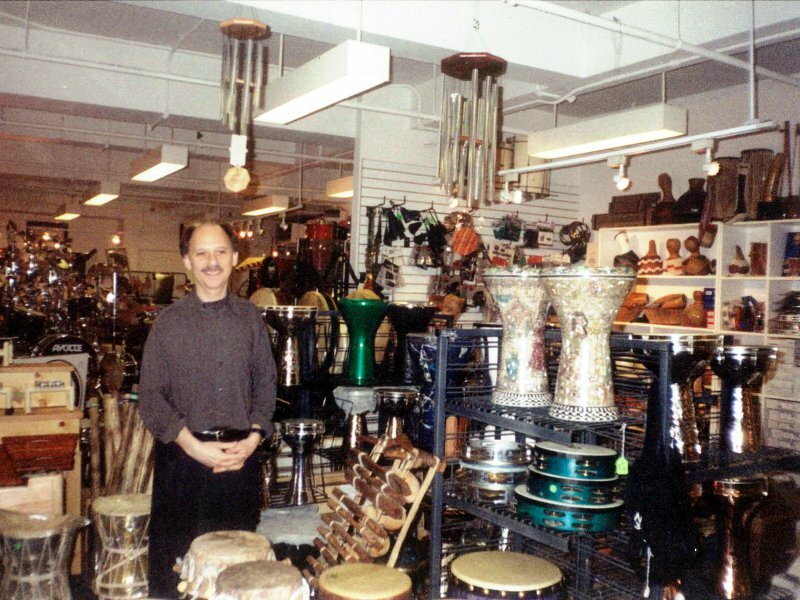 Hi Barry, it nice looking back at my favor percussion store in the world. I mean it! Thanks, John. Glad to hear you are still playing and the bell didn’t let you down.Great hearing from you. Please stay in touch. in the store for new things like toys and different percussion. days. Thanks Barry for introducing me to the bell.